Master the Markets by Trading from Home! how I trade for a living "Gary Smith deals in reality. If you want to really learn to trade for real profits, not hypothetical, mumbo-back-tested programs, this book is a must. I seldom read market books anymore, but I read every word of this important book. Get it." -Larry Williams, author of Long-Term Secrets to Short-Term Trading "How I Trade for a Living is a remarkable book; truly a treasure trove of market information. Highly recommended." -Humphrey E. D. Lloyd, MD, author of Trading S&P Futures & Options: A Survival Manual and Study Guide "Straight talk from an accomplished veteran on how to succeed as a full-time trader. Gary Smith recounts the obstacles he overcame on the road to trading mastery and describes the strategies, indicators, and insights he used to reach his goals." -Nelson Freeburg, Editor, Formula Research "It is always valuable to get inside the mind of a successful trader. Gary Smith does a good job taking you there in a book loaded with useful tips and helpful hints. 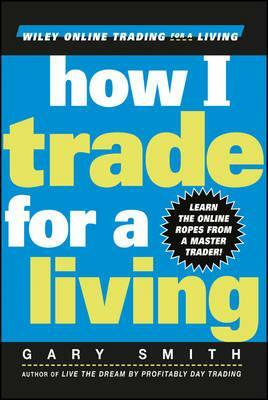 A worthy addition to any trader's library!" -Gary B. Smith, Contributing Editor, The Street.com "In How I Trade for a Living Gary Smith dispenses a healthy dose of that rarest of all commodities, vicarious experience from a consistently winning trader. New traders will find great benefit from looking over Smith's shoulder as he generously shares with the reader the valuable knowledge he has gained over three decades of trading." -Edward D. Dobson, President, Traders Press, Inc.